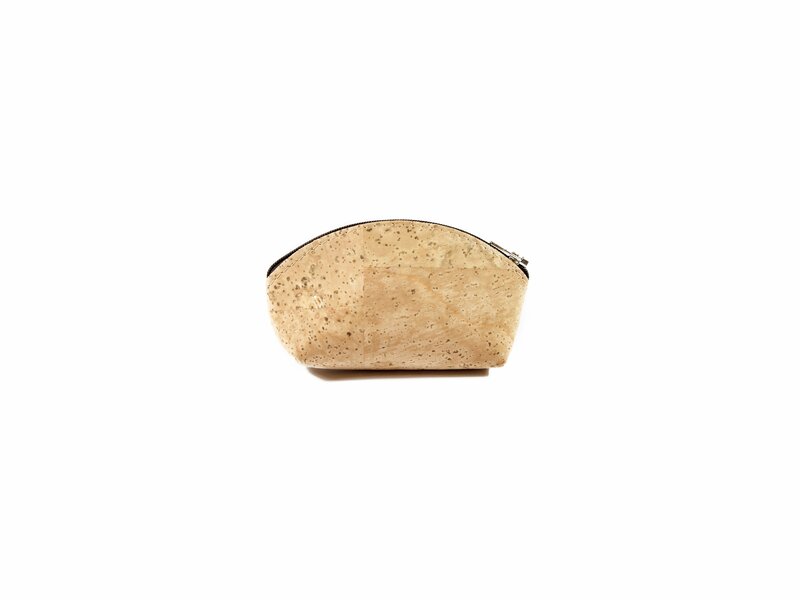 Female cork purse of round shape. The size is 12.5 * 7 cm. The purse has one compartment. It is fastened with a zipper of brown color. On the outside there is a flower-shaped decoration made of a dark brown cork. The purse is light, stain–proof and water resistant and easy to clean with warm water and soap.